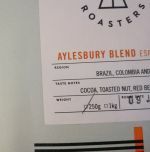 250g bag of Speciality Roasted Coffee Beans. Roast date: 9 Jan 2019. Recommended best use as espresso. Each bag is heat sealed, with a valve to release gases as the coffee beans settle after roasting, yet prevent air intake. The bag has a reseal mechanism too. This variety of Artistry Coffee is ethically selected and roasted by Redemption Roasters and is a Cup of Excellence. The Caturra and Typica variety grown at 1600m altitude from the Oxapampa & Villa Rica district. 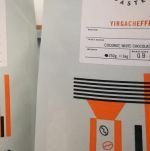 The mission of the association of producers originating this coffee is to increase social reach and improve the value chain of Peruvian coffee whilst simultaneously conserving the countries natural resources and surroundings. 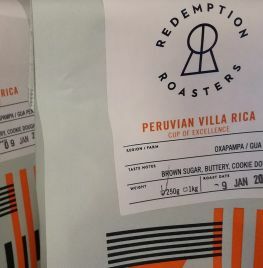 The Villa Rica coffee has been awarded Cup Of Excellence in a global programme sometimes known as the Olympics of Coffee, designed to help farmers receive more money for highest-quality coffee. MULTI-BUY discounts are available when you buy more than 1 bag of coffee - mix and match across the beans too. Add to your cart and review the discount! Redemption Roasters are based in Aylesbury Young Offenders Prison with a mission to help reduce re-offending rates by skilling up the young people to help them find jobs and reintegrate into society. 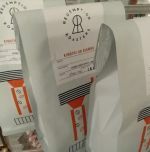 Small batches of beans are expertly roasted led by a Head Roaster and Assistant Roaster who train the young people in professional roasting skills and competition-level barista skills. So not only is the coffee ethically sourced but the roasting process is socially responsible too.